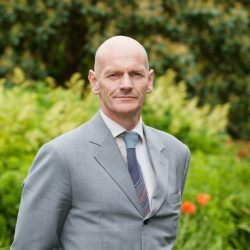 Chris is currently Professor of Food Safety and founder of the Institute for Global Food Security at Queen’s University Belfast. He served as Pro Vice Chancellor responsible for the Medical and Life Sciences Faculty between 2015 and 2018. He has published more than 390 peer review articles, many of them relating to the detection and control of agriculture, food and environmental related contaminants. His main research interests are in the development of innovative techniques to provide early warning of toxin threats across complex food supply systems. Protecting the integrity of the food supply chain from fraud is also a key research topic and Chris led the independent review of Britain’s food system following the 2013 horsemeat scandal. He currently co-ordinates a flagship Horizon2020 project involving 16 European and 17 Chinese partners on food safety and also co-ordinates an European Institute of Innovation and Technology flagship project or organic food.